Last week I mentioned there would be an addition to the Mrs M’s Curiosity Cabinet blog: a podcast. I first considered recording a series of podcast several months ago and just assumed they would be videos, bearing in mind the type of content I hoped to cover. However, the more I researched how to record, where to record and how to use my existing equipment, the more I procrastinated. It wasn’t just that I hate being on camera, it went much deeper. For one, my medium has always been words rather than visuals. I am much happier describing materials, processes and experiences than I am staring at myself showing things. Also, the spoken word lends itself to exploring concepts and perspectives, without looking like some philosophical talking heads programme you might find on French television. Once I articulated to myself (and the podcaster whose work has influenced me in many ways) that I was planning an audio podcast of my own, things happened pretty quickly. The angle and theme of the podcast pretty much fell into place over the night; I set about figuring out recording software; and I pulled together topics and ideas for the first three episodes. Obviously the pesky demons caught up with me pretty quickly but as I was determined that this would happened, I started to whisper that there was something coming. 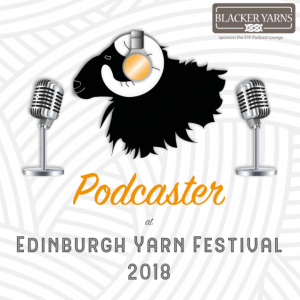 At Edinburgh Yarn Festival I took the opportunity that the Podcast Lounge offered to pick the brains of Louise (of KnitBritish), Helen (of Curious Handmade) and Alison and Rachel (of the Yarn in the City) about some of the technical aspects. This week, as I started recording and editing, the niggling voices raised their volume, making me cringe at the sound of voice and fret about all the imperfections that are part of a learning curve. But I drew on all the hugs, kindness and friendship I had experienced in Edinburgh and ploughed on. Helen had asked me what I was going to call my podcast. 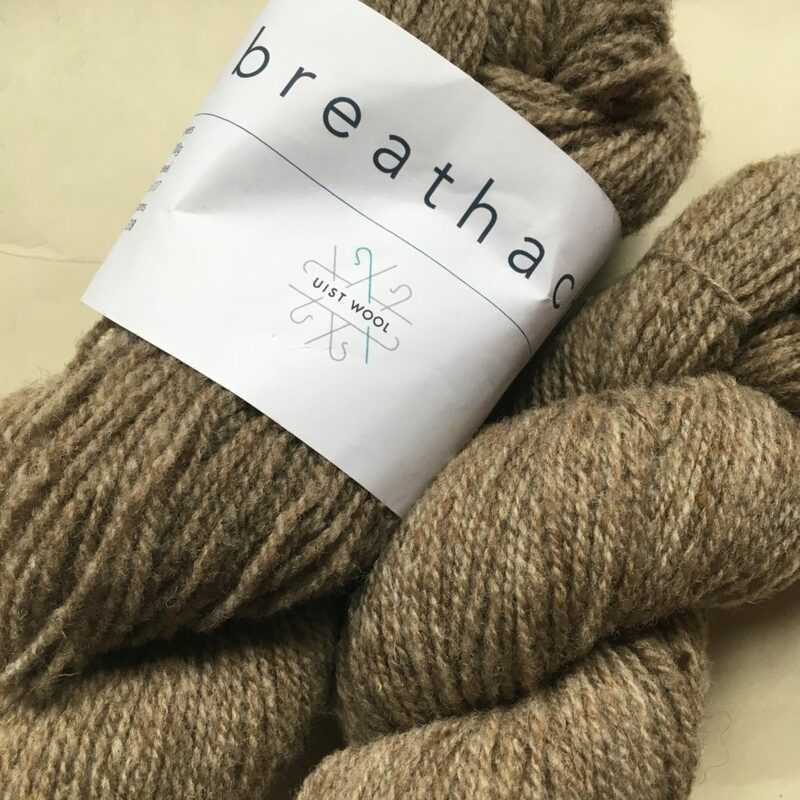 I had been playing around with various ideas and thought I would market test them but at the Edinburgh Yarn Festival it struck me how many people said “Oh… you’re Mrs M” or “You’re the lady with the curiosity cabinet” or “And you write a lovely blog”. So, as I and many of the things I talk about are already associated with Mrs M’s Curiosity Cabinet, it seems a bit daft to pick a different title. So, before self-doubt and perfectionism morph into more procrastination, here is the first episode of Mrs M’s Curiosity Cabinet – A podcast about materials, the making instinct and a craft-full life. The Charm of It with Eva – a podcast about the nitty gritty of knitting. What a difference the natural grey base makes! 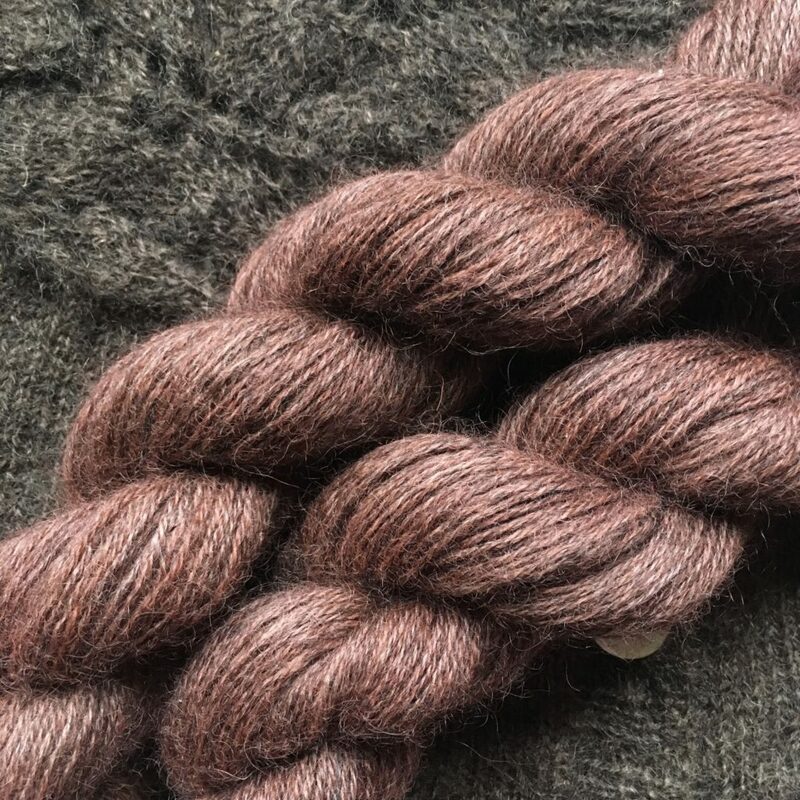 This episode is focused on wool but just like this blog, the Mrs M’s Curiosity Cabinet podcast is not just for knitters. In future episodes I shall focus on various material and making in many forms. But as I am still riding high on the fumes and camaraderie of the Edinburgh Yarn Festival I hope you will indulge my love of wool in this first episode. If you want to comment on anything in this podcast, share your experiences or provide feedback, please do so in the comments below; contact me via Instagram, Twitter or Ravelry, or email me at megandgosia [at] gmail [dot] com. I would also like to thank everybody who has offered practical advice and suggestions, and who has encouraged me to share my voice, passions and enthusiasm in this new-to-me medium. Music: Springish by Gillicuddy on FreeMusicArchive and shared under Creative Commons Attribution license. Love, love love your podcast! I love that it going to be about sustainable living, about other forms of craft and making. It also sounds as if you had a wonderful time at EYF. I am most definitely going next year! Thank you Mairead. I know sustainability issues are not everybody’s cup of tea but it informs my making so I am looking forward to gently touching upon it via materials and making. Thank you Elouise. I was aiming for a “chat over tea at kitchen table” feel so I am glad you experienced it as such. Love, love, love your podcast! I love that you will be talking about all sorts of making, about sustainable living and crafts. So much to look forward to! Thank you Julia. It’s lovely to hear there is some interest in the sustainability aspects that inform my making. Meg, just loved your first podcast. You have such a lovely voice for it and as I expected, it was such a thoughtful and articulate podcast, clearly setting out your goals. 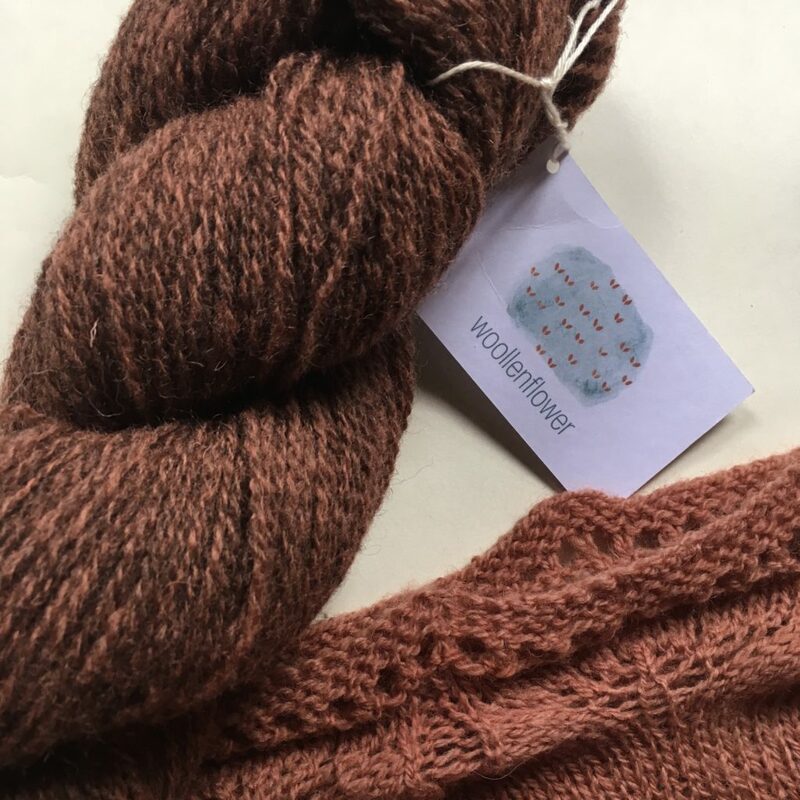 I enjoyed the wool reviews too – I didn’t get a chance to see woollenflower’s booth at EYF but must check out her wool at the next show she does. I am also a fan of Little Grey Sheep so will look forward to your upcoming project. So pleased you’ve taken the plunge and look forward to upcoming episodes! Thank you for your feedback Maylin. Hopefully see you at another event before the next EYF. Happy knitting with the Uist Wool! Oh, and I also bought some of that gorgeous Uist wool at EYF. Love it and it’s extra special as I am visiting Uist in September and climbing the mountain featured on their business postcard. It was a real pleasure to listen to your first episode! You sound like a veteran podcaster already. You speak slowly and clearly and thoughtfully. I thought it was so interesting that you brought up the tension that can exist between ideas of sustainability/minimalism and the love of materials. I have certainly felt that tension, especially when I am buying my materials without any consideration for what I am buying and how it will fit into my life. But I have also found that thoughtful makers tend to have an appreciation for the value of things and thus are less likely to have a disposable attitude to their things which I think is a common destructive tendency for humans. Sustainability requires a economic ecosystem that allows producers to survive and be able to continue producing in a responsible way. I can’t make all the clothes, food, paper, materials that my family needs but I can choose where I procure those things and make sure they will last and have a good long life. The more I learn about materials and how to use them the better chance I have of making good choices as well as making and purchasing things that are fit for purpose. Thanks so much for your lovely podcast. I’m so excited that you’ve taken that leap. I look forward to the many topics you will cover. PS Have you read Colour by Victoria Finlay? It’s a fascinating book about the history of pigments. I have just spent a very lovely 30 minutes with my knitting and a cuppa listening to you (via iTunes). You were brilliant, sound quality was spot on and I loved hearing you chat about your crafty thoughts. Looking forward to listening to your future episodes. p.s. I also bought some of Jules Woollenflower Uradale dyed yarn. I am going to use some of it for my Bousta hat along with some natural grey Uradale I bought last year. Thank you, Isla. It’s lovely to hear that the sound quality was fine. I think Jules’ natural shades will look super with the natural grey Uradle. I’m planning to use some of that for edgings if I should not have enough of the madder dyed yarn for a top. Hello – I really enjoyed your first episode. You have a lovely voice and the content was interesting for me as a hobbyist maker. I made a conscious decision not to go to EYF this year so I enjoyed your round up without feeling I had missed out. Looking forward to hearing you again. Thank you for your kind words. I’m glad you enjoyed the first episode. I see from your blog that you decided to celebrate your leftover yarn. I thinks this is fabulous! It is very easy to get excited about the new shiny stuff, but I am also eager to celebrate materials we already have. Hi there, I so enjoyed your first episode. I found it really thoughtful with lots of interesting feedback on EYF. I love the fact that you will be covering lots of crafts and growing food – another passion of mine. I’ve subscribed on iTunes and look forward to the next one. Barbara, I’m glad you enjoyed the podcast. Thanks for taking the time to provide feedback. Hi there, nice to hear your voice – you sound like a natural at podcasting, and the sound quality was great. I definitely want to follow your podcasts and hear more of your thoughts. You mentioned that you work at several different crafts out of curiosity, and I’m much the same. I constantly revolve around a set of different crafts (knitting, crochet, sewing, spinning, and occasionally dyeing), and I often find there’s tension between wanting to delve more deeply into one craft and keep revolving around the others out of curiosity too. It results in much procrastination at times about which project to start next. Just as I start to think that I’m a hopeless case, though, the voice of reason tells me that if we didn’t live in a modern world it would be a useful trait. Without shopping centres and the means to buy what we want at the touch of a button we would all have to be adept at ‘making’ in different ways – switching from one craft to another depending on what is needed next. We probably all have the need to ‘make’ written into our DNA and hardwired into our brains. And yet, it’s a trait that we seem to accept is being written out of existence. The other day, a friend said that her daughter had a careers class at school which was preparing them for a world where work may be hard to find because of the never ending ‘progress’ in mechanisation and computerisation in the work place. That’s food for thought! Do we need to accept it? Have the policy makers got it wrong in being so accepting? You also mentioned food sustainability, heritage varieties of vegetables and traditional food preparation. I’d be interested to hear more. Keeping biodiversity and traditional knowledge alive in the face of monoculture agriculture – it’s another big issue. I’d be happy to join the debate…. Lynne, thank you for your very kind comment. I am glad to hear it resonated and that it was a cosy way take of some more involved issues. 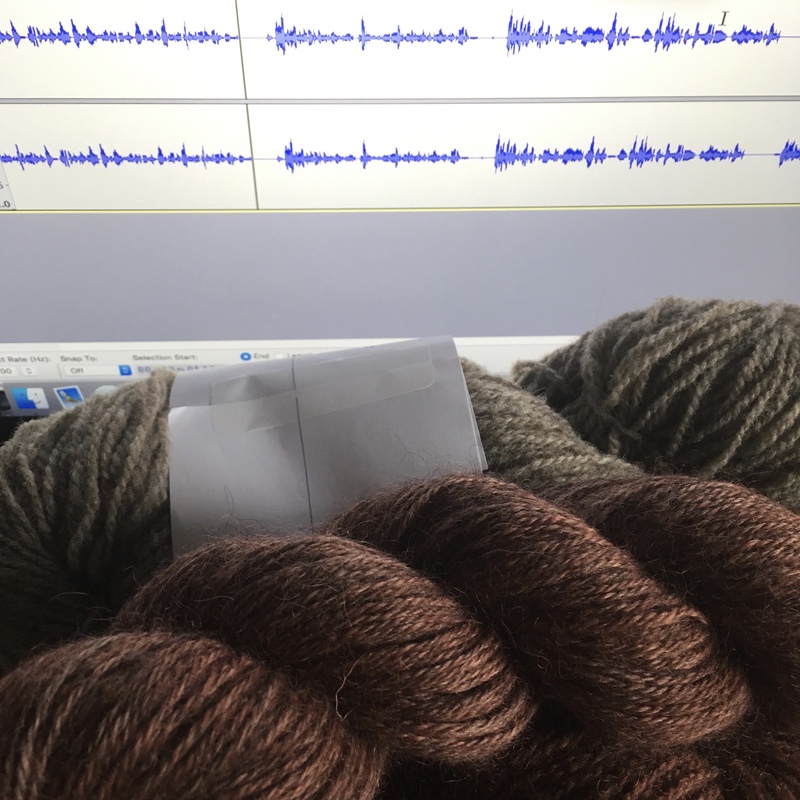 As is customary for me, I’m late to this party – I heard Jennie of Handmade and Woollen mention your podcast on her recent episode, so I made a (or another) cup of tea and tuned in. I really enjoyed your first podcast – congratulations on stepping out into new territory. You sound as if you are a seasoned pro already! The bonus from this discovery is your blog – you curate a wonderfully accessible space here, and I have ventured down several of the rabbit holes that I’ve found, and no doubt there will be more to come. Much of your content resonates with me – sustainability, care for the environment, light footprints etc. All the very best with your future podcasting ventures, Meg – you have a dedicated supporter and subscriber from across the miles from South East Queensland in Australia. Gill, thank you so much for taking the time to comment and provide feedback on the first episode. It is very encouraging to hear how many makers also care about our natural world. I look forward to sharing more chats over a cup of tea, as it were. I’ve added your podcast to my itunes, so excited to hear your voice more often. Love hearing you talk about your passion, well done! not usually one to comment, but I felt compelled to thank you for this lovely podcast. You have eloquently managed to sum up my own, often muddled, thoughts on making, our need to make and my often misplaced guilt for the necessity for beautiful creations. Looking forward very much to future podcasts. Thank you, S.
Love your podcast! I fell in love with Gotland yarn when I saw natural skeins at our local Connecticut Sheep & Wool Festival. I took the farmer’s card and plan to invest in some of her black fiber when it comes back from the mill. She had two natural grays but the black stole my heart. Karen, thank you for your kind covent. Gotland really is a magical yarn. I already have a cardigan in Gotland and the tactile response it elicits from other knitters is quite something!